How much is Tyler Perry worth? The answer will impress you! The question of how much is Tyler Perry worth will make you think of how this famous actor achieved such high results in life. Each success story has the other dark side, whether it is terrible childhood memories or losses. Tyler Perry's story is one of those inspirational stories you will be surprised to learn about. So, keep reading and learn how he found his golden ticket to a happy life, and also find out more about the actor's greatest supporters – his family. Tyler Perry is a testimony of the fact that every difficulty or tough situation is worth fighting and overcoming in any possible way. Read on and learn how a piece of simple advice turned the actor's life upside down but for the better. For the present day, is 600 million US dollars. He is one of the wealthiest celebrities in the United States today. His successful Madea franchise made his way to the top lists of Forbes. For example, in 2011, he as The Highest-Paid Men In Entertainment. In the short period (May 2010-2011), Tyler Perry made 130 million US dollars, having left behind even Leonardo DiCaprio. Another question is what way did the actor go to get to this stage of life when all the troubles are left far-far behind. It would be reasonable to start from the very beginning of his life path and see what made him the man we know today. The famous was born in New Orleans in 1969. At birth, he was given the name Emmitt in honour of his father, which he changed later. Emmitt's childhood passed in a low-income family. Already in early childhood, he experienced a lot of grief and hardship. The father of the future actor, also Emmitt Perry, worked as a carpenter. He beat his wife and children often. Once the boy even tried to commit suіcide to avoid beating from his father. The actor's mother, on the contrary, took care of the children and was engaged in their upbringing. Every once a week she took them to the church where the children felt safe. If Emmitt had good memories of childhood, it was only thanks to his mother. When Emmitt was 16 years old, he changed his name to Tyler Perry to completely break the bond with his cruel father. The has not graduated from school, but he still received an education certificate. When he turned twenty, he learned that if his problems, feelings, and thoughts were put on paper, it would be much easier to understand and overcome them. That is how he started writing. After some time, he wrote several letters addressed to himself. Later, these letters formed the basis of the popular musical theatre I Know I've Been Changed. In 1990, the actor moved to Atlanta. Two years later, the musical I Know I've Been Changed was released, where the author raised the eternal themes of forgiveness, self-esteem and human dignity, and also addressed the problems of dysfunctional families and child abuse. He put all his money into the production, about 12 thousand US dollars. At first, the musical did not have much success, and the author lost the invested funds. Then he completely rewrote the play, and it gained great success. This happened in 1998. New Perry's productions won him the love of the public, which was mainly represented by an African American audience. Perry was the director and producer of almost all the films that he starred in. Also, he wrote the music to his film Madea Goes to Jail. Tyler's characteristic appearance, his real acting, and great talent made the actor remarkably famous among the African American population of the United States. 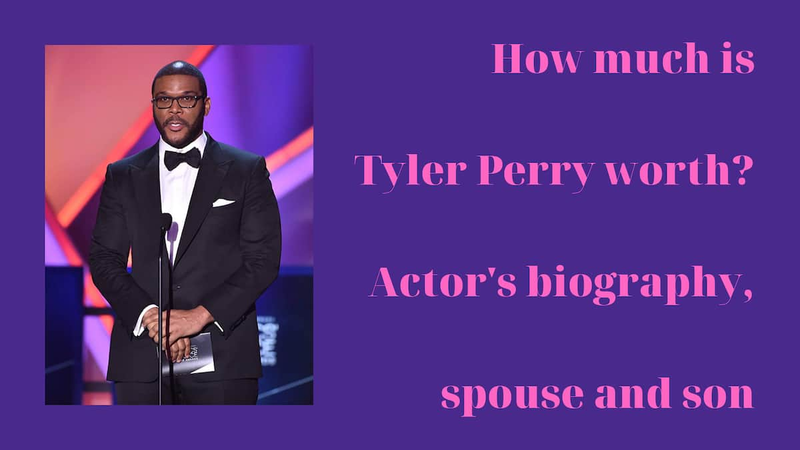 In addition to achievements in the professional field, Tyler Perry was also lucky in the love department. Although, this aspect of the celebrity's life is covered with many mysteries and secrets. Here are a few facts about Tyler Perry wife. It is known for sure that his beloved woman and life companion is the famous . However, it is still not clear whether Gelila is Tyler Perry spouse officially or not. Some sources claim that the actor is still an enviable bachelor, and some claim that the couple is already secretly married. Stephanie Mills left a hint of this on her Instagram account, mentioning Gelila as Tyler's wife. Being married or not, the couple of Tyler and Gelila has an extremely strong relationship bond, which is much stronger than marriage itself. It is their lovely little son Aman. The boy was given birth on the 30th of November in 2014. The child's full name is Aman Tyler Perry. By the way, guess who baby's godmother is. This role has been taken by the celebrity and incredible woman . Now you know the answer to the question "How much is Tyler Perry worth?" Even more, you know the actor's story and how many multiple steps have led the man to this point of life. Today, the actor is happy, successful, confident, loved and has a wonderful son. This must be a lesson for everyone who is overcoming difficult times that each big stage of life starts with a small step.